SIMPLE STORIES-Sn@p! Photo Flips For Binders. A snappy way to capture your colorful life! It is easy to add additional photos and cards. 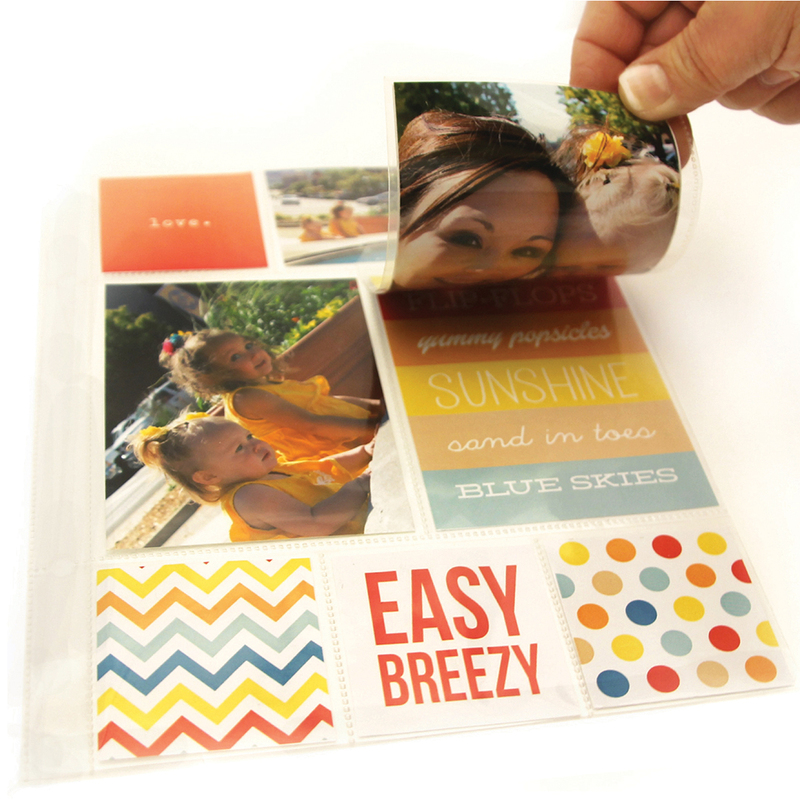 Simply insert a photo, peel the adhesive backing and stick to any pocket page or project! This package contains twelve 4x6 inch adhesive photo flips for 8x6 inch binders. Acid-free and lignin-free. Imported.